Sometimes the Windows 7 functionality to automatically arrange or resize a window while dragging is a pain. This feature is called Aero Snap. Here are good news, you can disable the behaviour :-). Open the Control Panel, go to “Ease of Access center”. 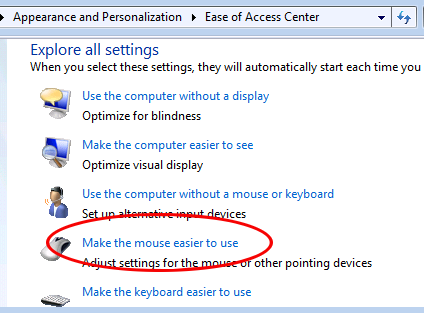 If you are there, click “Make the mouse easier to use” and enable “Prevent Windows from being automatically arranged when moved to the edge of the screen”.